A task a day to mend a broken heart. This was a fun read! Esme’ may be a bit addicted to her routine and her long-range plans, but when she finds another woman’s earring in her bed she does not hesitate to walk out that door and move on. As fate steps in along with the calendar, she finds herself trying her hardest to stick with the daily activities and step outside of her comfort zone. I don’t think there was a character in this lovely tale that I did not like! They were each so unique and each added something to Esme’s new-found confidence. 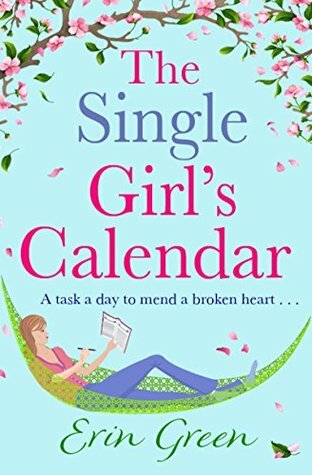 Call it Chick Lit, call it Fluff, it put a smile on my face the entire time I read it! Erin was born and raised in Warwickshire, where she resides with her husband. She writes contemporary novels focusing on love, life and laughter. An ideal day for Erin involves writing,people watching and copious amounts of tea. Erin was delighted to beawarded The Katie Fforde Bursary in 2017 and previously, Love Stories New Talent Award in 2015.